I remember reading Robert Hughes on how when he was a young man in Australia, he and his friends would have passionate discussions about the latest developments in modern art based on two inch tall black and white photos in Art News. It wasn't quite as bad in Texas--one could take a trip to New York from Texas more easily than you could from Australia, after all, but let's face it: Texas was far, culturally and physically, from the cultural capitals of the world where modernism was forged. Of course, you can't keep a thing like modernism secret. Word leaks out to the provinces and artists get inspired to try their hands at it. 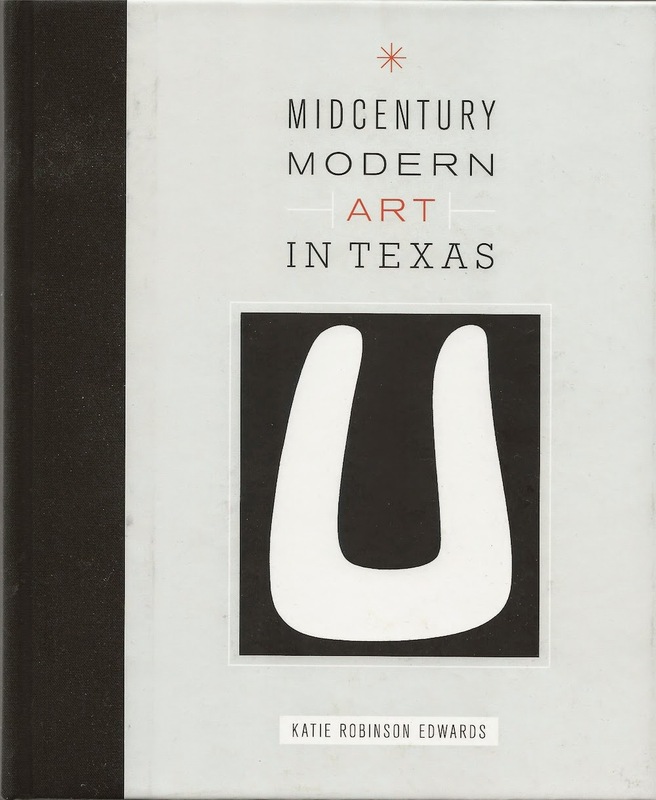 Midcentury Modern Art in Texas by Katie Robinson Edwards tells the story of how modern art came to Texas. She tells the story in two ways. First, she describes "scenes"--groups of artists in one location who knew each other and had similar interests and influences. While art in Texas could be seen as a continuity, especially as artists get teaching jobs and teach subsequent generations, and that wouldn't be a wrong way to view it. 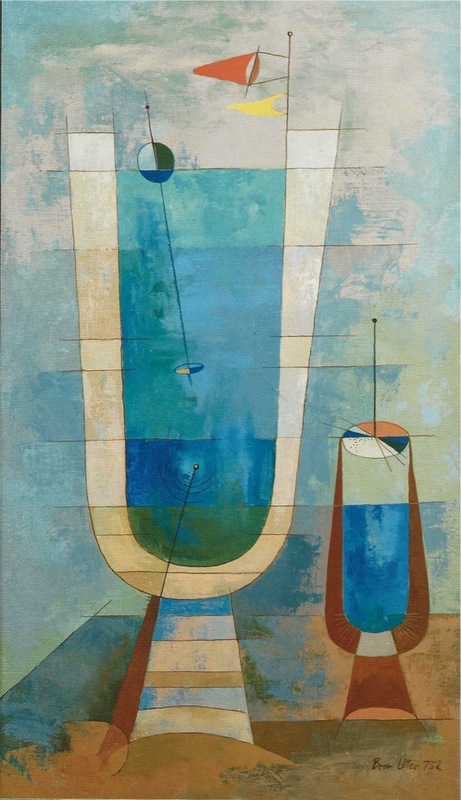 But the thing was, until about the 1960s or so, it was hard for modernist art to sustain itself in Texas. So these scenes popped up, flourished for a while, and died away. Beyond looking at scenes, she looks at individual artists, particularly those who transcended any scene or who were otherwise so singular, they couldn't be slotted in one place or another. Forrest Bess (1911-1977) seems like the obvious example of the lone artist, not part of any scene. After all, he painted his best-known work while living in a shack at the mouth of Chinquapin Bayou accessible only by boat and miles from the nearest paved road. But he spent some time in Houston and knew other young modernists there. Ola McNeill Davidson (1884-1976) started a gallery in 1938 called Our Little Gallery, where she taught young artists, including Forrest Bess, Robert Preusser, Frank Delejska, Gene Charlton and Carden Bailey--some of the earliest modernist painters in Houston. But the astonishing thing is that Davidson wasn't Houston's first modernist painter--that distinction belongs to a woman born in 1859 (!) named Emma Richardson Cherry. Based on the reproductions of her work I've seen, she wasn't a very good painter, but she wasn't completely dire. But she is important because she was always eager to know what was new in the world of art and to bring it to wherever she happened to be living. She moved to Houston in 1896, but frequently visited Europe. She saw the Salon d'Automne exhibit twice, but the book doesn't specify which years. 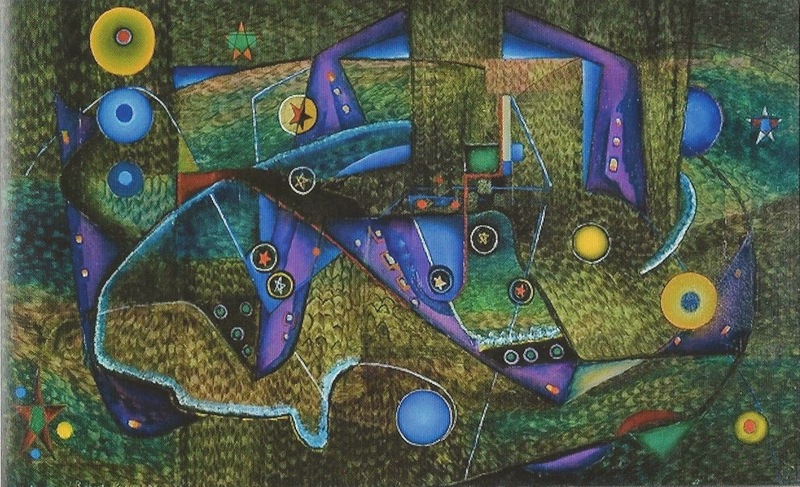 However, she did see very early works of cubism there, which gives one an idea of the time frame. Cherry became a member of the Société Anonyme, Inc., the organization formed by Katherine Dreier, Marcel Duchamp and Man Ray for the purpose of propagating modern art in America. It was a perfect organization for Cherry as that had been her mission for years. And Davidson was a protégé of Cherry. Of Davidson's students, Forrest Bess is the one most likely to be remembered in the art history textbooks. But perhaps the most successful in life was Robert O. Preusser (1919-1992). 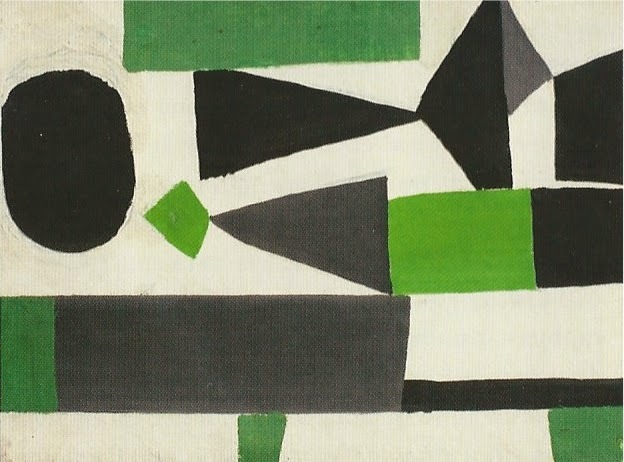 He saw an early exhibit of abstract art at the MFAH in 1938 and it was a life-changing experience. He studied at the MFAH's school (now the Glassell School) and continued his education in Chicago and Los Angeles, before returning to teach at the MFAH school. But Preusser's story reflects what happened with many Texas artists over the years. In 1954, he took a teaching job at MIT, where he remained for over 30 years. There simply were more opportunities for Texas artists outside of Texas than in Texas. 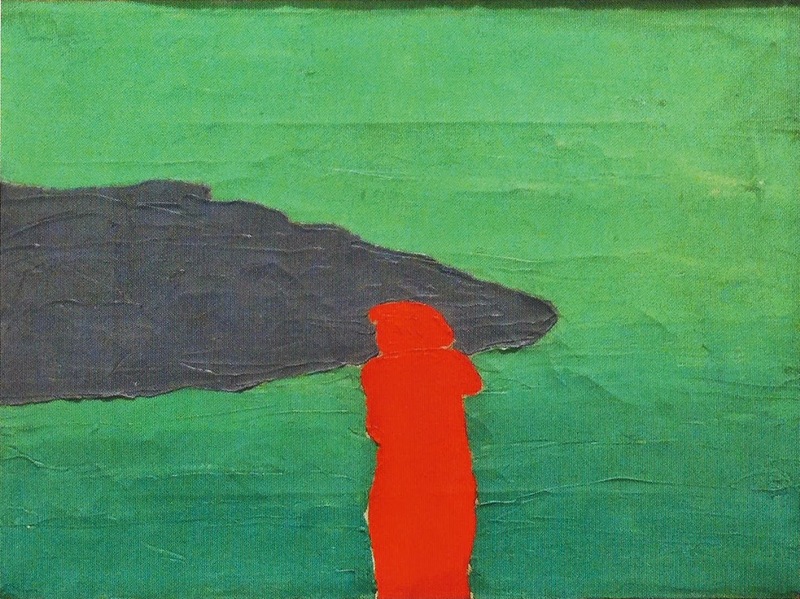 So artists like Gene Charlton, Carden Bailey, Bill Bomar, Myron Stout, whose untitled (number 3, 1954) is on the cover of Midcentury Modern Art in Texas, and other artists felt they had to leave Texas. With this book, Edwards demonstrates that Texas was not a lifeless desert of art in the first half of the 20th century. But it was still pretty dry. While Houston was an outpost of modernism, Dallas belonged mostly to the American Scene painters, who were doing mostly realist work. 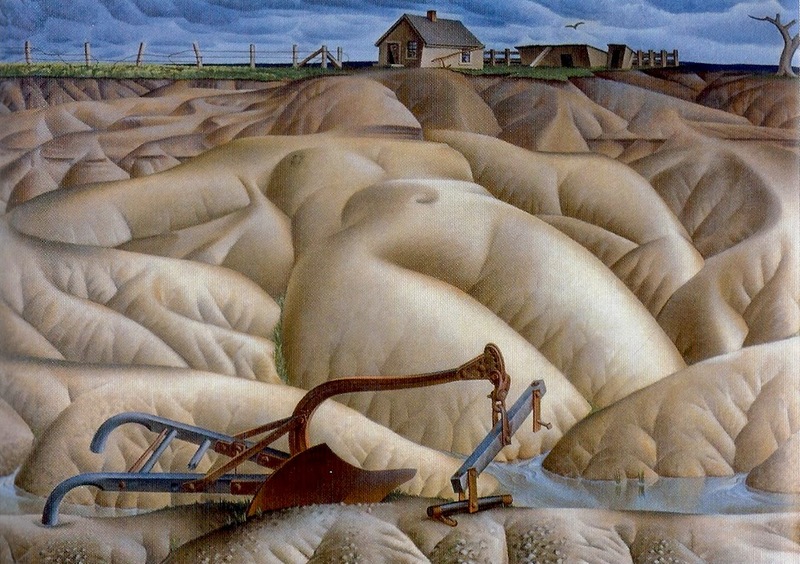 The two leaders of the Dallas scene were Alexandre Hogue and Jerry Bywaters, both uneven painters capable of greatness. Bywaters went on to become director of the Dallas Museum of Fine Arts, and Dallas never became a center for modernism in Texas in the way Houston and, surprisingly enough, Fort Worth were. Still, if your city's two greatest 20th century artists are Bywaters and Hogue, you aren't doing too bad. If late-1940s Fort Worth modernism was marked by sophisticated, occasionally cross-dressing soirées at Flora and Dickson Reeder's house, the mid-1950s and 1960s revolved around the martini-drinking macho "salon" at the sculptor Charles Williams's home and studio. I wish she had written more about this--what were the social scenes like? Where did artists meet and hang out? A lot of this kind of information is mentioned in passing, and Edwards understandably wants to spend more space talking about the art. But I get the feeling that these gathering places were critical in sustaining these scenes in various cities. In any case, this newer Forth Worth scene attracted younger artists like Roy Fridge, Jack Boynton and Jim Love (the last two more commonly associated with Houston). Edwards discusses other scenes that popped up in places like Austin and Denton, where Toni LaSelle (1902-2002) taught. These scenes were fed by the fact that there were universities there that needed art teachers as post-high school education in Texas expanded. Higher education was (and still is) an important was for artists to make a living as well as a site for them to congregate and trade ideas. The last chapter on Houston was especially meaningful because some of the artists discussed are people I know who are still alive and productive, including Richard Stout (b. 1934), Henri Gadbois (b. 1930), Leila McConnel (b. 1927) and the woman who taught me to paint, Stella Sullivan (b. 1924). But I was disappointed in the section on John Biggers (1924-2001) and the TSU scene. It's hard to slot Biggers' work in because it is figurative in a time of abstraction, but his work is informed by modernism, as is Carroll Simms. And given the amount of attention given to the Dallas Regionalists, Biggers and the TSU scene seems shortchanged. I would have liked to see more of his art and read more about his career. This all seems ironic since Edwards complains elsewhere in the book that early Texas modernism was almost exclusively produced by white artists.Biggers is a major exception to this depressing rule. The book closes with a long section of artists biographies and selected exhibitions, making it a useful reference book in addition to being an important history. I have a feeling a book like this could be written about any region of the country. Modernism was obviously centered in major metropolitan centers like New York and Paris, but it captured the imaginations of a few pioneering spirits like Emma Richardson Cherry, who took it back to wherever they came from. I think it's unfortunate that we don't generally value these regional art histories, particularly when regional scenes occasionally toss up uncategorizable geniuses like Forrest Bess who are hard to slot into canonical art history. But I also feel it's important for art students from a particular location to get some idea of the art history beneath their feet. We need to reclaim "provincial" as a badge of honor--particularly as we now live in a connected, networked world where the art world no longer has a center.